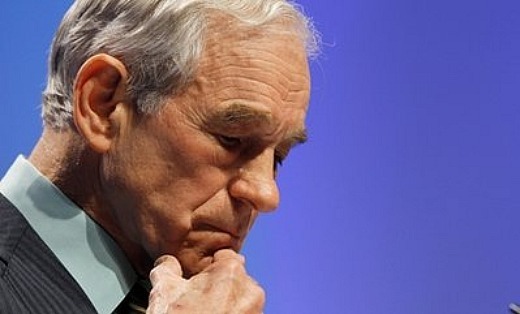 Ron Paul is the politician that fights for stopping the money-print and returning the US economy on the road of real production and hardworking. He is speaking about the need to save the dollar. He is also a supporter of stopping the endless US interventions around the world that are only damaging the image is of USA. Despite all this Ron Paul is not needed to American people. What is USA doing in Ukraine? Absolutely nothing useful for USA itself. An unconstitutional government is established, backed by obvious fascists and anti-Semites. The “right sector” militias are declared “national guard” and sent killing innocent people and civilians. And all this happens in front of the eyes of the entire world. What can USA win of all this? Even if they somehow manage to keep this coup d’état government, this will bring absolutely nothing to USA. Ukraine has no serious resources to offer. It is a very troubled economically country that needs big and fast cash to survive. A big share of its population is from ethnic Russians. The majority of the rest (Ukrainians) is of Slavonic origin and is very close to Russians. Ukrainian economy is connected with Russia. Most of Ukrainian politicians are pro-Russian, even the ones that rely on anti-Putin rhetoric. For instance Yulia Timoshenko is also called “gas princess” due to her enormous business with Russia. Even when former President Yanukovich sent her in prison, she received support from… Putin. So even if the interim government survives, and we accept it as anti-Russian and pro-American, this government can bring nothing to USA. And on first elections, via the democratic procedure, pro-Russian forces will get back their influence. Ron Paul is absolutely right when asking: “What are we doing in Ukraine?” He is consistent with his view that American interventions all over the world are harmful for America because they bring nothing useful while damaging the image of USA. In fact after all these interventions the hate towards USA only increases. Even in countries that look “liberated” the majority of the people believes USA is guilty for all problems (Iraq, Afghanistan, Libya). In all Eastern Europe and in Ukraine itself majority of the people thinks USA stays behind the new civil war. Even much of anti-Russian Ukrainians think all this mess happens due to Americans. So what is USA doing in Ukraine? But more important than this question is why Ron Paul is out of politics and what are American people doing when voting… Is the democracy crashing?